Bonfires In Silver City is the stunning new album from acclaimed Australian songwriter Lucie Thorne. Steeped in that striking spaciousness and sensuality for which Thorne’s work has become so renowned, Bonfires In Silver City encompasses a remarkable breadth of feeling and flavour. From the shimmering, wide-open beauty of Big News to the groove of Till The Season; from the surging swell of Great Wave to the perfectly matched duet (and co-write) with soul- treasure Jo Jo Smith on Sweet Turnaround, Bonfires In Silver City is an arrestingly assured collection from one of our finest song-poets. Most of these songs were written whilst on the road, over the past two years of almost constant touring (throughout Australia and Europe) since the release of her last album, Black Across the Field. Evocative songs brewed over this nomadic time, during which Thorne has only occasionally retreated back to that sweet old country cottage by the Tantawangalo Creek (on the far south coast of NSW) that she still calls home. The sound of Bonfires In Silver City has grown largely out of the musical empathy and camaraderie Thorne has developed over this period with legendary drummer Hamish Stuart. Produced by Thorne in close collaboration with Stuart, most of the album was tracked live in Sydney’s Megaphon Studio over three days in April 2011, and shining at its centre is their remarkable duet sound. Expansive, playful, loose and real. This foundation is augmented by sublime performances from some of their favourite players, including Dave Symes (bass), Chris Abrahams (piano and organ) and Carl Dewhurst (guitar), alongside some more adventurous guitar work and soundscape creations by Thorne herself, adding texture and an expanded tonal palette just where it’s required and not a note more. “I’ve never spent such a long time thinking about the record I wanted to make, and yet such a short amount of time actually making it” says Thorne. “And for me it feels really clearly like the best work I’ve done”. Lauded for her unique voice, poetic lyricism, and tender-to-gutsy electric guitar playing, in Bonfires In Silver City Thorne further hones her “gift for melody... and thoughtful, intelligent lyrics that, as with Joni Mitchell, leave you pondering shades of meaning” ( The Australian) as she creates “exquisite miniatures of distilled emotion” ( The Canberra Times). 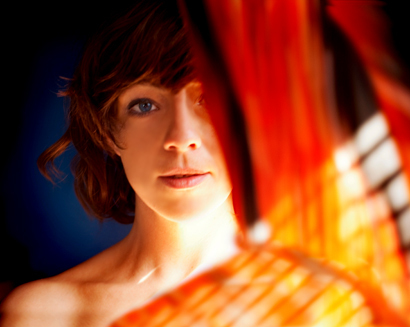 Thorne’s last album, Black Across The Field (2009) garnered acclaim from leading critics, including being awarded ‘Best Roots Album of 2009’ by The Sydney Morning Herald, was short listed for the prestigious Australian Music Prize, and earned her a place as one of Australia’s most distinctive contemporary songwriters. Bonfires in Silver City is an exciting development from this remarkable musician who has clearly hit her stride. 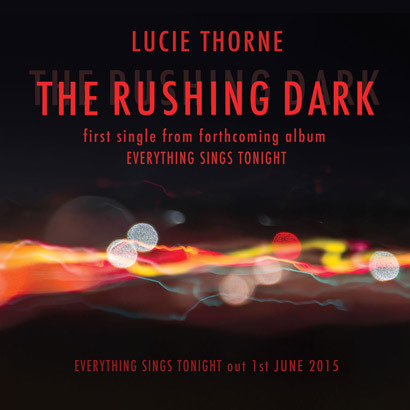 "Thorne's powerful intimacy [is] embedded in each song. the more deeply you listen." Stay updated with Lucie on FACEBOOK here! NO ONE is more surprised than Lucie Thorne that she wound up living at Bimbaya, population four.